The Morro Bay team put up a spirited fight in the season finale before falling to Chalk Mountain by a score of 21 to 15. It was a rare successful invasion of the homeland. 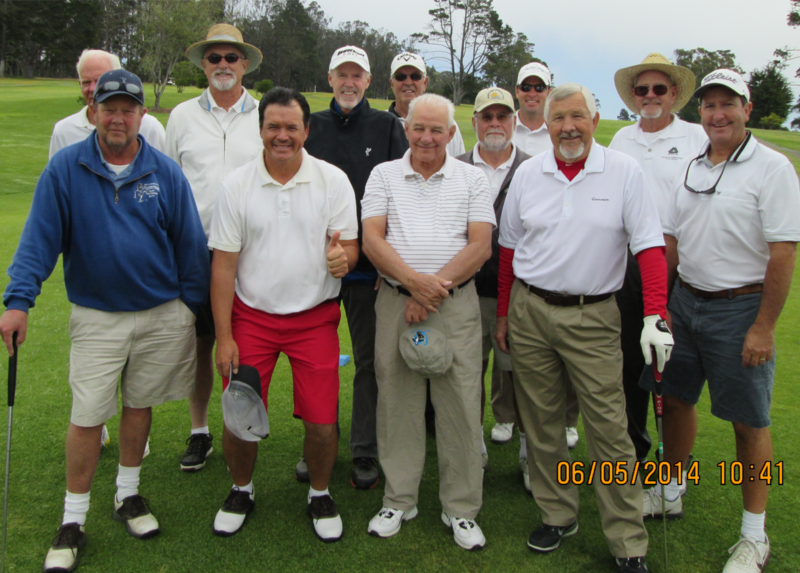 Morro Bay winners included Gerry Griswold (81), Bill Subang (83) and Larry Rentler (88). Joel Clay (79) and Mark Mahler (77) halved their matches. Thanks to everyone who participated in the matches this year and to Joel and George Rumpza for the home match accommodations. The road-weary Morro Bay warriors returned to the comforts of home Thursday and avenged an earlier loss with a 24-12 victory over The Links Course at Paso Robles. Morro Bay winners included Lou Purio, John Seidel, Les Wade, Sandy Loflin, Jack Johnson, Gerry Griswold and Mark Mahler. The season finale next week against Chalk Mountain will present another opportunity for revenge. Thanks to everyone for playing. Different images come to mind: Moses and the Israelites searching for Mt. Sinai; the dust bowl migrants of The Grapes of Wrath; the current expatriates at our southern border. Just like them, the lost tribe of Morro Bay wanders endlessly in search of a road win. The most recent losses were 30 to 6 at Chalk Mountain and, more frustratingly, 20 to 16 at Paso Robles Golf Club. Morro Bay winners have included Ed Hurd, Nicki Anderson, Bill Subang, Chris Rivas, Larry Rentler (twice) and Brad Fowles (twice). Once again, we will have to content ourselves with exacting revenge on the home course in August. Alas, the Morro Bay road woes continued on June 28th at The Links Course at Paso Robles in a 29 to 7 defeat. Only Mark Zimmerman, Gerry Griswold and the redoubtable Jack Johnson upheld coastal honors. The ability of opponents to raise their games on their home courses has become a discussion of much interest and intrigue. In any event, we will try again at Chalk Mountain on July 12th. The comptition is match play with 2-person teams. There are 3 matches within each 4-some. A best ball match and 2 individual matches. Each match is worth 2 points. All scoring is match play. If we go to the next level only those that have played in at least one match are eligible. The NCGA will only allow a handicap of 18.4 so we try to keep our team to the lowest handicaps possible. The league is open to men and women. The minimum age is 21 and players must be on our roster as of June 1. Sign up sheets are in the clubhouse or contact our captains.